PayUmoney blog is a place where all businesses can find everything they need to level up their business to the most optimal level. Whether it is payments or marketing we guide with curated trends, tips, tricks and suggestions to grow. We love when other experts find value in our content and volunteer to share their experience and knowledge with us. Shrijay is one such expert who excels in legal issues and entrepreneurship arena. He writes this blog as a guest to guide business all things they must consider before they start indulging in international money transfers. He also emphasises on the best services to expect from international payment gateways in his write-up. Let’s hear it from the master himself! The people and businesses are going global with a stark rise witnessed in international travel as well. Perhaps, this is a reason why international money transfer is the need of an hour. International money transfer is an easy and secure way to send and receive money, globally. There are some specifics that one needs to keep in mind while transferring money internationally due to different rules and conditions set by the bank. Outward remittances are tricky as they are under the scrutiny of the government. Research suggests that videos out rule all the other form of content. There are various types of videos like a tutorial, testimonial, events, vlogs, demos etc. • Inward remittances: Transfer from a foreign country to India. • Outward remittances: Transfer to a foreign country from India. Compare multiple mediums: It is obvious to think of the bank as the first medium to transfer money to a distant land. But, one should always compare all the mediums beforehand to take a wise decision. High processing fees and special brokers come with a price. Money transfer services offer competitive exchange rates and customize service as per needs. Plenty of online money transfer services offer the convenience of time and place. Compare all those medium based on service, risk factor, exchange rate, and fees. Online transfer: Online payment services are available for sending and receiving funds. The transferred funds get converted into a receiver’s currency. 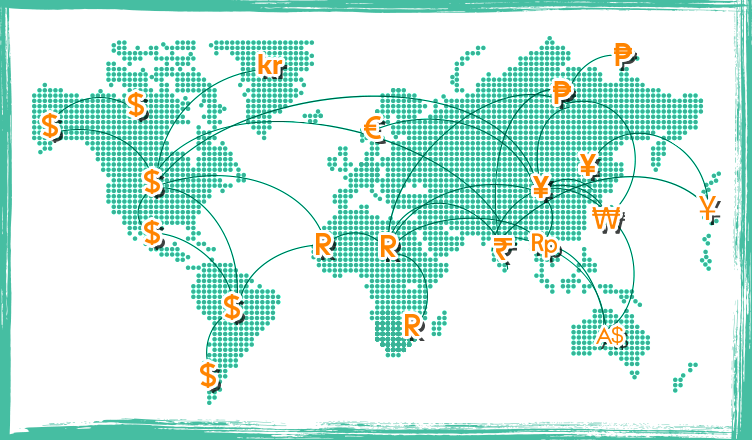 Money transfer: The global payment service providers simplify the fund transfer process. These companies have a worldwide reach wherein they send money to their agent from where it is available. You can receive the same through your normal bank account on a prepaid card or via a mobile wallet. Mobile wallet: A mobile wallet allows sending and receiving funds directly from a Smartphone, making it preferred choice for a small amount. The downside is the high conversion charge and lack of options to choose from. Prepaid card: Prepaid cards are quite handy since they are easily accessible funds using ATMs. Bank Wire Transfer: Individual wishing to transfer funds from a foreign country to India need to approach the local bank for giving an order to transfer an amount to the entity in India. These details help the bank to identify the account for depositing the money. Bank sends a message about the details of a settlement post which the transfer happens. Here is where the amount is credited to the recipients’ account. Fees: This is the most important point that helps to decide the money transfer process. The payment routes through a series of different intermediary banks before the payment get to the recipient. The processing fee charged by these banks gets deducted from the payment. Comparing fees is the best option to select the most cost-effective option. Also, consider the fees that apply to both parties involved. Reach: The limited read of a few service providers the reach becomes an issue. It is therefore recommended to opt for the most accessible method for a convenient transfer. Exchange rates: Exchange rates matter a lot in international money transfers. Opt for a provider that gives you fast and safe transfer with a convenient exchange rate. A high charge of the exchange rate can directly affect the amount of money sent by reducing its value. Reputed Agent: One expects a strong company to control and manage their fund transfer process. A competitive scenario needs the surety of funds and personal details in safe hands. Better to check out some customer reviews before making your decision. Know your senders’ limit: Make sure to set your daily international transfer limit for the safety of your money. This will help you plan your transactions better and receive the money at the desired time. Check processing times: Some service providers’ process payments only on certain days of the week. Payments may delay when received after the cut-off time. Hence it is best to plan your IMT. Convenient and Simple: Most money online remittance services offer simple and easy money transfers. The recipient gets the funds in real-time once transferred by the sender. More choices: There are various methods and online applications like PayU Money that help to send or receive money. You can request the multicurrency payment option and use it to receive international payments (add more details as required). Such alternatives help you from relying only on the banks for money transfer. Fees: The only drawback is that most money transfer providers have applicable fees that could make their services expensive. Hence, it is best to choose the best by looking into various options available. It is time to take your business beyond borders with PayUmoney (T&C applied).